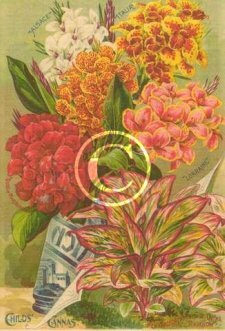 Sensational Antoine Crozy Cannas were popular garden plant grown widely in an array of exciting colors in the old days. 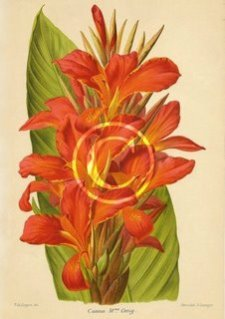 These cannas are also known as French cannas as they were raised in France from around 1870 onwards by Antoine Crozy who has a reputation of raising well over 200 different cultivars. Mr Crozy’s full name was Pierre Antoine Marie Crozy, he was also known as Monsieur Antoine Cozy and in his home town of Lyon he was known as Papa Canna which is a name he also called one of his own garden plants. In later years as his plants reached other countries Mr Crozy was also referred to as The Canna King. His new French cannas were described in 1893 as blooming continually from the time of planting, whilst increasing in size until eventually cut down by frosts. By many they are agreeably attractive and splendid plants for pots, making charming and showy plants for the porch during summer. Before the chance of frost they may be removed to the window garden or green house where they will continue their delightfully distinctive flowers all winter. 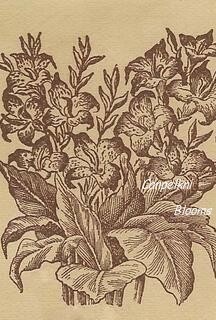 These eminently elegant cannas will bloom the year round if kept in a growing condition. 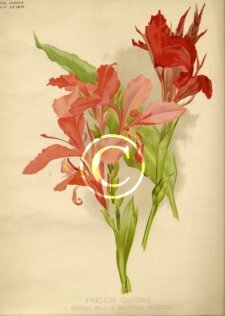 In 1892 Antoine Crozy Cannas were described as well known to most customers that greater improvements have been made in French Cannas than any other class of plants. The many beautiful varieties raised and sent out by M. Crozy have made rapid strides in popular favor and the demand for them is everywhere on the increase. These improved kinds yield a most gorgeous display, totally eclipsing the older garden varieties. The individual blooms do not remain long in perfection, but a succession is kept up for a considerable period from the same panicle, as the laterals develop after the expansion of the earlier blossoms, and shoots efficiently strong to flower are continually being pushed up throughout the growing season. The blooming season of the cannas extends over a lengthened period, but they are seen perhaps as their best during June, July and August, while even in September the majority will still be in flower, and in the warmest part of the greenhouse or in a temperature slightly higher, some of them will flower till late in autumn or well into winter. We have tested these brand new varieties on our grounds at Western Springs. The dwarf but tropical growth of the garden plants with their numerous shoots each crowned with large spikes of beautiful flowers, elicited the admiration of all our visitors. They are great pot plants. Mme Crozy 1889. Photo print A4 size. 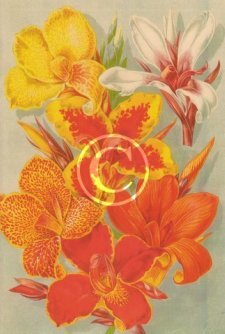 Mixed Cannas from the 1890s.